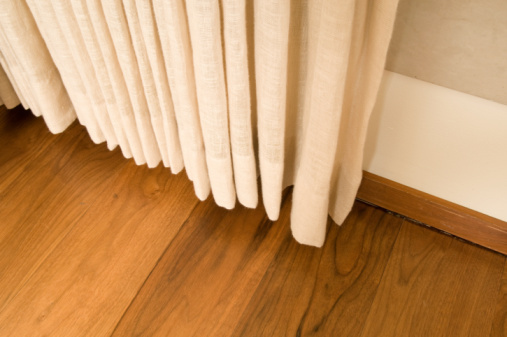 A chair rail is a one- or two-piece trim that is positioned about 3 feet off the floor. This trim historically acted like a bumper to prevent chairs at a dining room table from banging into vulnerable plaster walls. Chair rails can also divide tall walls into aesthetically pleasing proportions, but sometimes it is necessary to remove them during remodeling projects. Cut along the edges of the chair rail between the trim piece and the wall using a utility knife. You may also need to cut between the trim piece and any other attached trim. 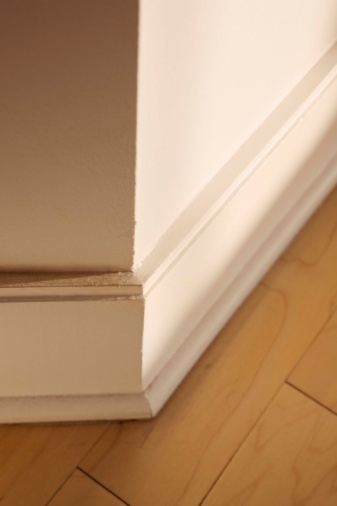 Often caulk or filler is used to hide gaps between trim and uneven walls, and this can act like an adhesive when you want to remove the trim with minimal wall damage. Slide the wide putty knife flat against the wall, starting at one end of the chair rail. Press the knife between the trim and the wall. You may need to work along the wall at first before you find a place where the knife will fit. Tip the knife toward you gently, enough to open the gap. Slide the thin edge of the pry bar into the gap, using the putty knife as a shield to protect the wall. Position the two tools so that when you pry the trim toward you, the pry bar will rotate on the metal of the putty knife. Once you get the pry bar in deep enough, the trim will begin to pull away from the wall. Lift the trim away from the wall evenly by moving the two tools along the wall. Some of the finish nails holding the trim in place will likely pull through the trim. You can remove these later with pliers. Continue loosening the trim until you reach the other end. Resist the urge to grab the molding with your hand and pull, as you can accidentally gouge the molding into the wall or have exposed nails ripping the wall surface. You may need a companion to hold the trim until you release the last of it.